October is Breast Cancer Awareness Month, and an upcoming talk sponsored by Astoria Co-op Grocery brings the issue into focus with a different take “pink ribbon” messages you typically hear. Speaker Laura Snyder says there are pervasive myths surrounding breast cancer. With data and statistics Snyder will suggest much different action plans for individuals and groups concerned about breast cancer. Snyder is a 52-year-old proud mother of two teenagers. She is a former bookseller and Astoria school board member. 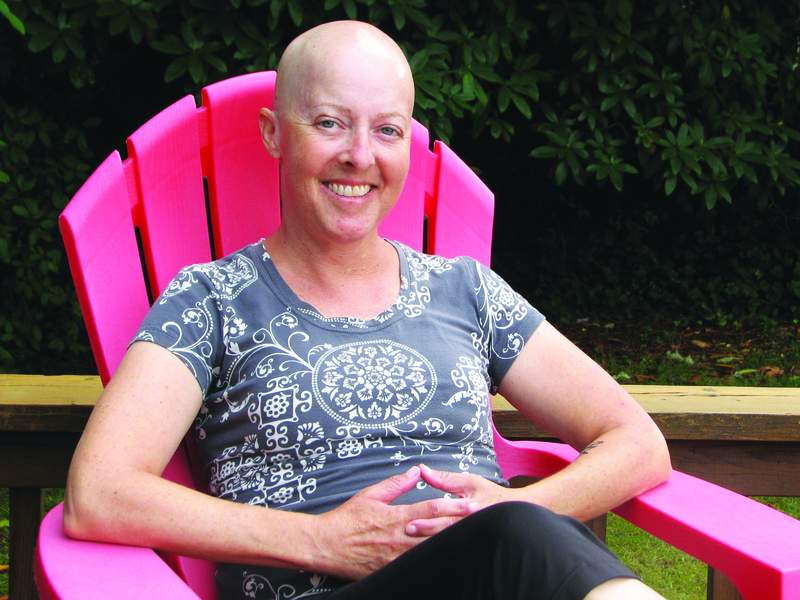 These days, she is a full-time metastatic breast cancer patient. This includes medical appointments, medication, scans, waiting for results; the usual for the estimated 155,000 metastatic breast cancer patients living in the U.S. today. 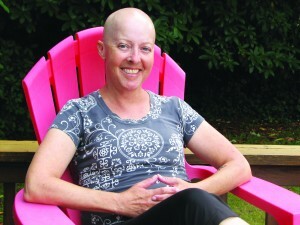 Part of it is educating herself and others and advocating for action to channel public and private money to scientific research that can make a difference in patients’ lives. “The goal of this talk is to change the entire paradigm of breast cancer awareness in our community to a new awareness of what is actually needed to end breast cancer. No one dies of early stage breast cancer. It is only when it spreads, or metastasizes beyond the primary site to bones, the lymphatic system, and vital organs, that it becomes a terminal illness,” Snyder said. Snyder says awareness has taken on an iconic tone, when in fact it does not save lives. “I would like to debunk these myths and challenge the sexualization and commercialization of the breast cancer cause. I hope that the talk will give people tools and ideas to change awareness to action,” Snyder said. Snyder’s lecture is on Thursday October 8 at the Fort George Lovell Showroom at 426 14th Street in Astoria. The talk begins at 7 p.m. and goes until 8 p.m. Doors open at 6 p.m. and food and drinks are available for purchase from the Taproom. There will be time for questions and answers. The event is free and open to all ages. It is part of Astoria Co-op Grocery’s food and wellness lecture series, Beers to Your Health, ever second Thursday of the month at Fort George. Our store has accomplished many things that set us up for a successful expansion. We have a board of directors aligned around the idea of building our co-op’s capacity as a grocer, a strategic plan that serves as our guiding document, and we have an engaged and growing ownership that shares what they’d like to see in a new expanded store. Our current store continues to grow sales and improve our operation, all in preparation for our evolution into a larger platform grocer. Staff, me included, continues to develop their capacity as leaders and operators of a natural foods store too. But no matter how much strategic alignment or community excitement we create, much of our project’s success will depend on our ability to raise financing. Fortunately, co-ops have unique opportunities to raise capital. Indeed, one of the seven cooperative principles is “member (owner) economic participation.” To raise capital, co-ops use common shares, owner loans, and preferred shares in addition to traditional loans from banks and credit unions. Owner investments help both with actual capital and with showing lenders that our owners are committed to supporting this business’s growth. 1) Sign up or encourage a friend to sign up and pay the full equity amount of $200. 2) Owners paying in installments can pay off the remaining balance on their $200 share. 3) Owners who have already paid off their $200 (or any owner) can pay an additional $100 in owner equity as allowed by the state of Oregon. Anyone helping us reach our October equity goals in any of these ways will receive a free Astoria Co-op Grocery cotton tote bag as a thank you! 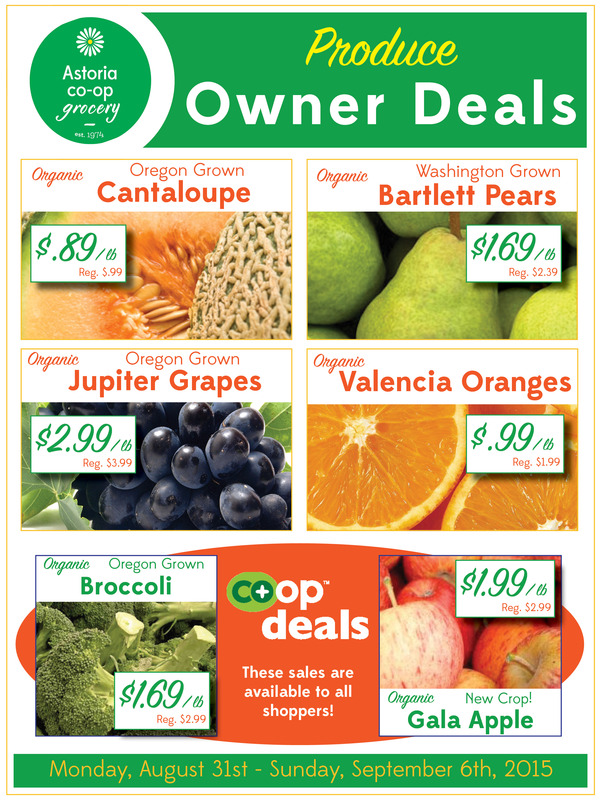 Upon purchasing a full share you’ll receive your Astoria Co-op Grocery share certificate. And those who pay off their full $200 share can enter to win their own personal chef for an evening: Marco Davis, the fabulous chef from our farm to fork dinner events. The capital that we raise in October will be used to strengthen our balance sheet as we move into expansion mode. Our normal monthly equity is around $3,500, so this will take a lot of help from a lot of owners to reach our goal. October is National Co-op Month too, so this is a great time to become fully committed to your local food co-op. It’s not just about the money; the success of this equity drive will show a future lender just how much community support our store has. In the near future we’ll begin using the other methods used by many co-ops to raise capital. We’ll be sharing more information with you next year regarding owner loans and preferred shares. In the meantime, we’ll be hard at work developing our expansion plan and searching for a site. Owners loan the Co-op money and the Co-op pays it back with interest according to a predetermined schedule of payments. Our Co-op used owner loans in 2008 to make our move to the current location. Preferred shares, unlike common shares, earn a dividend for owners who purchase them and may be purchased in quantity. When and how they are redeemed will depend on the Coop’s financial situation. Thanks to everyone who pays some equity during the month of October. Simply shopping at the Co-op and spreading good word of mouth about our store helps too. Cooperatively (and with a lot of hard work and careful planning), I know we can own a new grocery store! 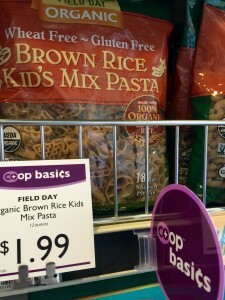 More ways to save with Co+op Basics! Looking to stretch your grocery budget? So are we! That’s why we’re pleased to introduce our new Co+op Basics program. 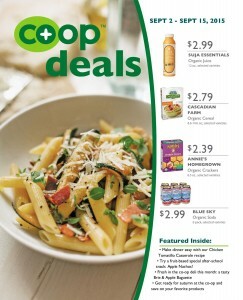 Co+op Basics offers everyday low prices on many popular grocery and household items. You’ll find (both new value-priced brands as well as) new low prices on some old favorites. Don’t worry, we aren’t paying our farmers or employees any less. 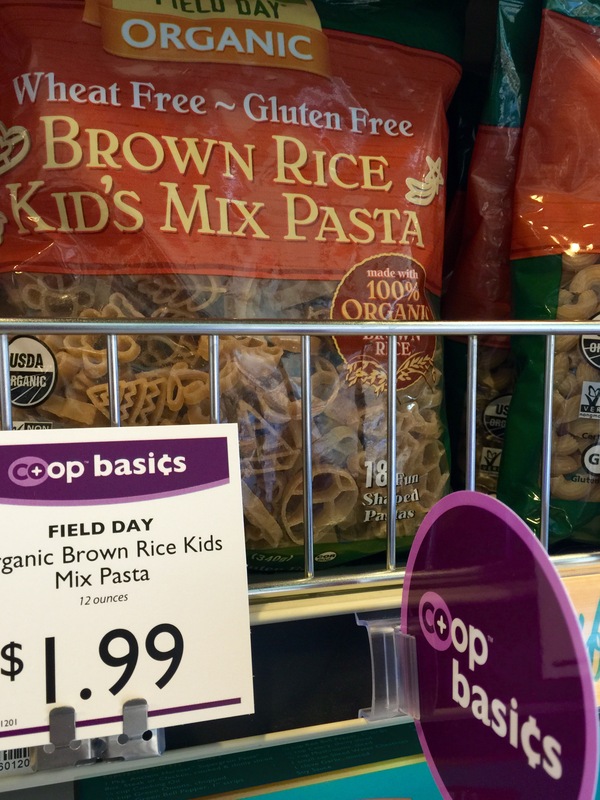 We’re simply committed to improving our selection so that everyone can find more value when shopping the Co-op. Starting in September, you’ll find many new Co+op Basics items in the store. Just look for this sign. 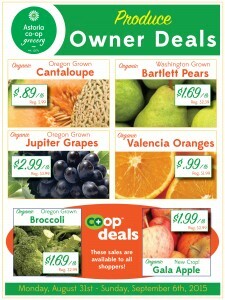 • Owner Deals – ownership has its perks; look for owner deal signs throughout the store and owner appreciation weeks.